'Sesame Street Live!' is playing at the Liacouras Center starting Saturday. 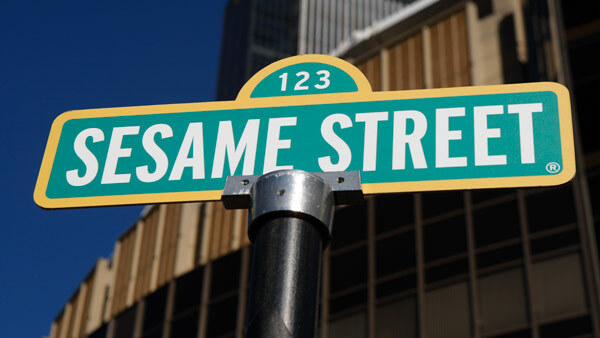 PHILADELPHIA (WPVI) -- Ask any preschooler, 'how do you get to Sesame Street' and they will probably know the answer. Or they can at least recite the theme song that asks the question. Since 1969, characters such as Big Bird, Elmo, Abby Cadabby, and Grover have been teaching children numbers, letters, and life lessons from the television screen. But a little over a decade after the pilot episode, a man had an idea to bring the Muppets of 'Sesame Street' to the children. It reversed the question to - can you tell Sesame Street how to get to Timmy's and Sally's neighborhood? Vince Egan, of Dayton, Minnesota, came up with the concept of taking Jim Henson's creations to stages across the country. "He knew Jim Henson from the Ice Follies and inquired about putting his Muppets in a live show. Henson loved the concept, and Egan staged his first 'Sesame Street Live' show in 1980," Erin Adler of the Star Tribune wrote in December 2016 upon Egan's passing at the age of 74. Now part of Feld Entertainment, 'Sesame Street Live! Let's Party!' takes the children's program on the road. The show is stopping in 68 cities during its 2017-2018 national tour. It comes to the Liacouras Center on Temple University's campus in North Philadelphia for six performances from Saturday, April 14 to Monday, April 16. This will be the inaugural production under Feld Entertainment's new partnership with the non-profit educational organization, Sesame Workshop, the company behind the TV program. And while kids - and kids at heart - will be entertained as their favorite monsters, birds, and grouches dance and sing in front of them on stage, there are some faces the audience won't see, but are an integral part of the live show that brings Sesame Street to Main Street. 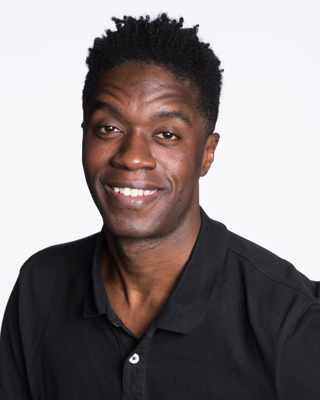 California native Patrick Calderon, one of the performers of Feld Entertainment's 'Sesame Street Live' who helps Grover make his moves on the stage, studied Kinesiology at California State University, Fullerton. 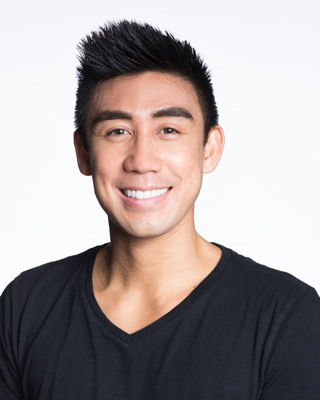 Calderon took his knowledge of human movement and joined the Team Millennia college dance troupe which was featured on America's Best Dance Crew and America's Got Talent. He always wanted to perform on a traveling tour, so when he heard of auditions for 'Sesame Street Live' near his new hometown of Orlando, Calderon said, "I made sure I brought my best foot forward." "I've always enjoyed traveling, and being able to experience the subtle differences throughout the country makes me even more excited to continue my journey with this company. That being said, I feel like 'excitement' is a great word to sum up my touring experience. Trying to decide who has the best BBQ is also very fun," Calderon told 6abc.com. 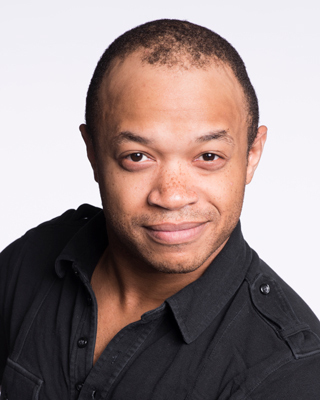 KJ Williams, a performer who helps with the Elmo portion of the show, moved to Orlando from Baltimore when he was 13 and discovered a knack for theme park entertainment. When he got the role in 'Sesame Street Live,' he soon realized it was a spectacle unlike any other. "It is a highly interactive, musically driven production, like the television show. I think the best part about it is that the show gives us so much to draw upon," Williams said. For performer Tuan Belk, the self-trained hip hop entertainer from St. Louis, Missouri, his love of dance began at an early age. "My first inspiration to dance came from watching 'Sesame Street' when I was 6 or 7. I then learned how to dance by copying the dance videos of Aaliyah, Usher, and Missy Elliott," Belk said. Belk has performed in the past for Feld Entertainment as part of their 'Disney Live' productions. When the opportunity arose to guide Big Bird on stage, he knew that was his next step. "It was a dream come true and a challenge I excitedly accepted," Belk said. Before being offered the role, Belk watched the documentary 'I Am Big Bird.' He says working with the iconic yellow bird has been humbling. "Because how much people love Big Bird and thank me for the work I am doing," Belk said. Belk said working with the legendary character is "an honor, adventure, and another milestone in my life. Big Bird is also quite comedic and it is refining my own comedic timing. I grow every show." For Calderon, he calls the monster known as Grover "interesting." "He's always trying to help around Sesame Street, but can never seem to get it right. And although he has trouble helping around, he always shows kindness which is such a super quality. I've always had an affinity towards superheroes and Super Grover continues to make me laugh with his goofy ways or assisting the citizens of Sesame Street," Calderon said. For Williams, making it through vocalist, dance, and puppetry auditions was worth it to be part of Elmo's production. "Rewarding. Fulfilling. With Elmo, the children absolutely love that little, red monster. I'm not alone, either. With Rosita, Cookie Monster, Big Bird, Abby, Grover, and Oscar the Grouch, I get to experience watching their faces come alive with genuine excitement," Williams said. And Williams knows Elmo being Elmo is what the kids like most. "Elmo has been 3 1/2 since he was introduced to the show. That's good because his perspective and personality will consistently be something that children will always relate to. At the same time, Elmo's curiosity leads him to new experiences and interactions, which keeps him current. You're always going to get the same Elmo and, at the same time, a 'different' Elmo, whenever you tune into Sesame Street," Williams said. According to Sesame Workshop, a study found that children who frequently view 'Sesame Street' at age 2 score higher on school-readiness tests in kindergarten than those who don't. The impact of the TV show and its characters on young minds and its enduring popularity is not lost on the 'Sesame Street Live' performers. "'Sesame Street' stands apart for its ability to engage audiences with humanitarian aspects of love, wonder, artistry and the value of variety, amongst the ability to teach audiences of all ages how to be a community, listen, compromise, settle disputes and other life lessons that are well explained and exemplified through comedy," Belk said. Calderon agrees that 'Sesame Street' is a strong brand when it comes to child development. "With our society being heavily impacted by television, 'Sesame Street' has always been a great show for children to grow up with. 'Sesame Street' has continued to create quality material that stays current with our pop culture which lets parents enjoy these episodes as well. And you can never deny the nostalgia of hearing an old 'Sesame Street' song that you heard when you were growing up, but now with a pop infused twist," Calderon said. Some of those classics songs - like 'C is for Cookie'- will be heard when 'Sesame Street Live' comes to Philly. "It is highly interactive and musically driven, so kids can get up, dance, and sing along as we play games and entertain everyone with our nostalgic 'Sesame Street' characters. Kids and adults together can enjoy this upbeat show especially when you hear a classic song such as Oscar's 'I Love Trash,' but with a 'STOMP' style remix. There is truly something for everyone," Calderon said. These three performers of Feld Entertainment's 'Sesame Street Live' are looking forward to giving families memories to last a lifetime while bringing the city to its feet. Williams is no stranger to Philadelphia; he recently took a tour of the University of Pennsylvania and, years earlier, performed in the 6abc Thanksgiving Day Parade. For Calderon and Belk, these actors are looking to make meaningful memories of their own for their first visits to Philadelphia. "I am looking forward to eating at the Reading Terminal Market, running up the 'Rocky Steps', visiting the African American Museum, the Philadelphia Art Museum, and the National Museum of American Jewish History. Definitely must have an authentic Philly-Cheesesteak, and most important is meeting the people," Belk said. This story was brought to you by the letter M for Memories and the number 14 - as in 'Sesame Street Live! Let's Party!' visits Philadelphia from Saturday, April 14 to Monday, April 16 at the Liacouras Center. Tickets start at $15 and are on sale now.